The Ottawa Senators will be looking for a bounce-back game when they host the Dallas Stars tonight at the Canadian Tire Centre. The Stars are struggling as of late, coming off three consecutive losses and have a disappointing 3-5-2 record in their last ten games. Being seven points out of a playoff position, the Stars will be coming into Ottawa hungry for a win as they push towards earning their second consecutive playoff berth. The Stars are coming off a 3-1 loss to the Toronto Maple Leafs to start their road trip through Ontario. 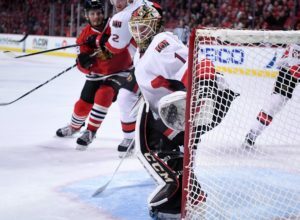 The Senators are coming off one of their worst home games of the season, falling 6-0 to the St. Louis Blues on Tuesday. 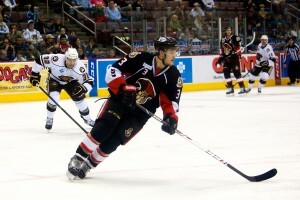 The game marked the second consecutive game where the Senators failed to score a single goal. With ten goals against and zero goals for in the last two games, the Senators have gotten away from their strong play that had them earn ten of a possible 12 points in their previous six games prior to the all-star break. This will be the first of two games between the two clubs this season. The Senators will visit the Stars on March 8, 2017. 1) The Dallas Stars will be looking for their first road win since Jan. 17. Having played on Tuesday night against the Toronto Maple Leafs, the team will be well rested as they are not playing in a back-to-back situation. 2) The Stars’ starting goaltender has yet to be named, but head coach Lindy Ruff has liked to change his goalies after each game, it’s expected that Kari Lehtonen will get the nod in goal tonight for the Stars. The Senators have announced that Mike Condon will get the start tonight. He’ll be looking for redemption after giving up four goals in his last start against the Buffalo Sabres on Saturday night. 3) The Senators will need a strong game tonight, the Stars will be pushing hard tonight as they try and get back into the playoff picture in the Western Conference. Condon has shown he plays well after a loss, a strong performance from him will be crucial tonight. The Stars, who have former Senators Captain Jason Spezza out of the lineup, will need to have a bounce back game of their own. 4) Senators head coach Guy Boucher has announced that he will be going with 11 forwards and seven defencemen tonight. Fredrik Claesson draws into the lineup, Chris Neil and Curtis Lazar are the healthy scratches. 5) Stars’ F Tyler Seguin lead his team with nine shots in his team’s last game against the Maple Leafs. He had his team’s only goal in that game and the Stars will need him to continue generating offence if they want to get back into the playoff picture.